For work or weekend, this stretch knit dress makes a perfect wardrobe essential for all seasons. This dress is close-fitting through the bust and has a fun wrap front detail. 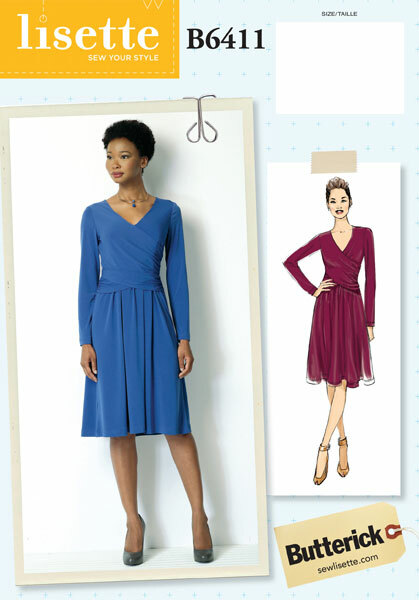 Use moderate stretch knits to ensure you get the right drape and fit. 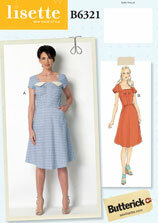 Share your photos on Instagram with the hashtags #B6411 and #sewlisette. Find and share more photos on Instagram using the hashtags #B6411 and #sewlisette.